Designed especially for decorative painters, the pigmentation and consistency of Folk Art allow the artist to accomplish the desired results for any style of stroke work. 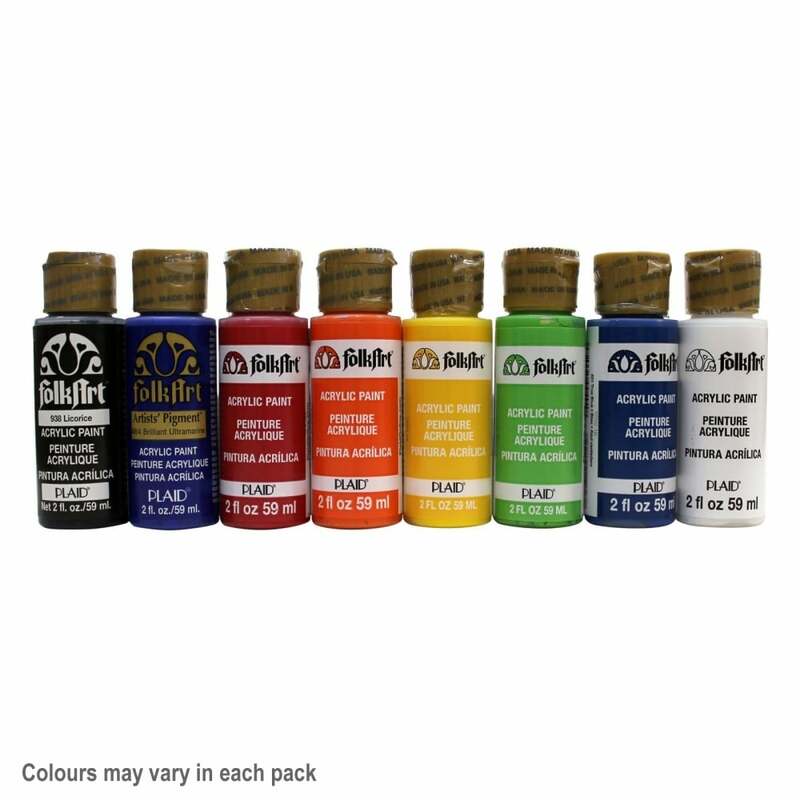 It can be used to achieve transparent washes or blend like Acrylics No matter what kind of projects you're creating, you are sure to find the shade you're looking for. Contents: 8 Bottles, 59ml (2fl oz). Colours are subject to availability and some packs many contain alternative colours.